NEW LOWER PRICE! Reduced $10 / Was $89! Waterproof too! The HAIX Black Eagle Athletic 10 Low waterproof athletic shoes offer a unique combination of features that are guaranteed to make your job as a police officer easier and much more efficient. It was made with comfort and functionality in mind. Whether you’re on or off duty, you can enjoy walking or running in this pair of comfortable police shoes without feeling constrained. And because this athletic pair is versatile for inside and outside use, you never have to worry about your shoe getting too wet or too hot. 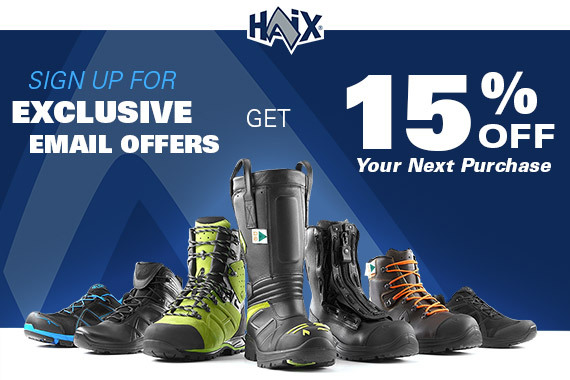 The HAIX Black Eagle Athletic 10 Low waterproof athletic shoes are proven to be durable boots with enough cushioning in the heel area to help absorb shock. The built in stone shield adds additional protection making sure you won’t harm your feet with any rock or stone in your path. Because when you’re on duty, you never know what you’re going to run into. And with strong spring-back material built into the forefoot it makes you more energy efficient by giving you an extra “spring” in your step. Built in pronation and supination support ensures that weight is evenly distributed throughout your foot to make sure your foot stays ideally positioned. This means less foot and back pain down the line. The smart lacing system is perfect for your line of work where time can be of the essence. You never have to tie your laces or worry about tripping on them. The Black Eagle Athletic 10 Low waterproof athletic shoes were designed with an antibacterial insole to support your feet and cushion your step. And with the durable gas and oil resistant sole made out of special rubber, you’re able to enjoy its multi-directional anti-slip grip feature allowing you to start, stop, and turn without having to worry about balance or slippage. You can wear this pair of comfortable police shoes anywhere, even when travelling, since they're completely metal-free.